Color enhanced electron micrograph of Ebola Zaire virus. This is the first photo ever taken of the virus, on 10/13/1976 by Dr. F.A. Murphy, then at CDC. Diagnostic specimen in cell culture at 160,000 x magnification. 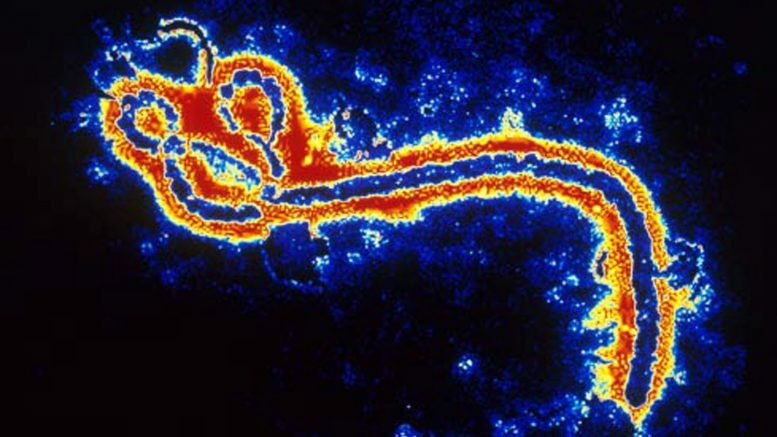 The first known outbreak of Ebola was in 1976, in Sudan. Nearly 300 people were infected at that time, and roughly half of them died. There wasn’t another outbreak again until 1995, where 315 people got sick in Zaire (now the Democratic Republic of the Congo). Another one struck in 2000, and there have been periodic epidemics in the region almost annually every since. Uganda and the Congo region have always been the geographic areas where Ebola seems to exist. At the time this book is being written, there is a current Ebola pandemic that is the worst in history, and the first time there has been a major disease presence outside of the Congo. 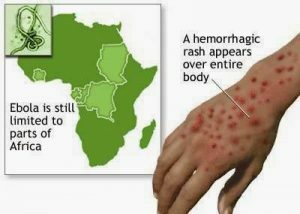 It has spread from Liberia, Guinea and Sierra Leone in western Africa to isolated cases in the United States and Europe. So far, there have been at least 16,000 cases, more than 7,000 deaths and there doesn’t seem to be any sign of it slowing. Fruit bats are a natural carrier of the disease and it can be transmitted from an infected bat to a human, mostly likely through bites or possibly just handing such a bat. Besides that, it spreads through contact with various bodily fluids such as blood, urine, feces or vomit. The usual “water droplets from sneezing” don’t seem to be sufficient to spread Ebola. Before the outbreak in 2014, little was known about this deadly but rare disease and more information is still being discovered. This means that there are still a few mysteries about how Ebola works. It’s believed that you are not contagious until you start showing symptoms but the disease seems to be the most virulent just before death as well as after death. Corpses must be handled with extreme caution, and should not be touched without extensive protective gear. It spreads the most frequently during later stages of medical care, and after death when the body is washed without protection (a common custom in Africa). So the most care must be taken if you are caring for someone with Ebola, rather than bumping into someone out in public. It starts with high fever, muscle pain, fatigue, chills and a sore throat. At this point, it’s very easy to confuse it with a number of other less deadly diseases. Stomach and chest pain are likely symptoms as well. Diarrhea soon develops (often bloody), along with extreme bleeding from the eyes and nose. Organ failure then leads to death. There is no cure for Ebola, only keeping the patient alive through the symptoms. Lots of rehydration fluids, and possibly transfusions if the blood loss is severe. Due to the recent outbreak, there is heavy research going into an Ebola vaccine though at this exact moment, there is none. Prevention is the usual avoidance of ill people, and wearing very thorough protective clothing (aprons, goggles, gloves, masks) when working with anyone who has the disease. Body fluids must be avoided at all costs. It’s difficult to say what kind of risk there is about Ebola. Because it is currently spreading like wildfire around Africa, there is a great deal of worry about it. A lack of information about the disease adds to the uncertainty. 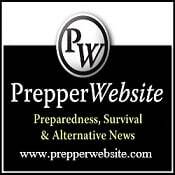 If Ebola gets established in North America, it could be a grave risk but there is a lot of distance for it to cover for that to happen. Be the first to comment on "Infectious Diseases – Ebola"